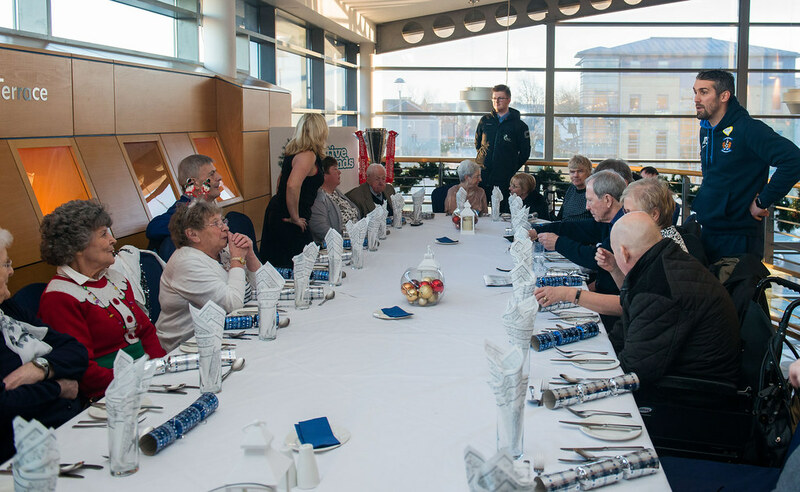 Christmas can be a hugely difficult time for those who have lost loved ones, having to watch on as others celebrate with their families. 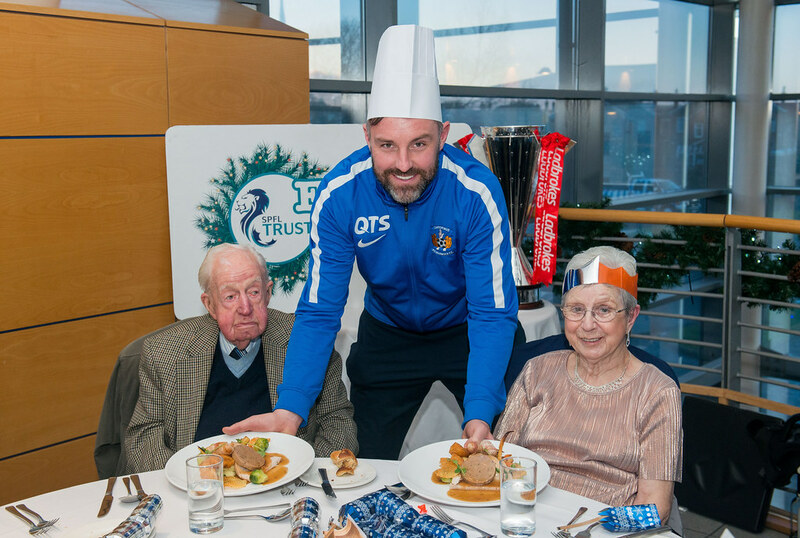 However, football clubs across Scotland are getting everyone involved with the festivities. 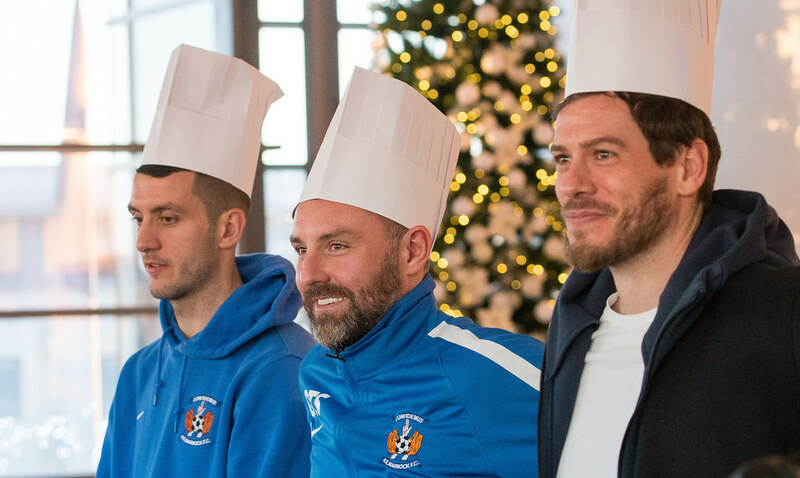 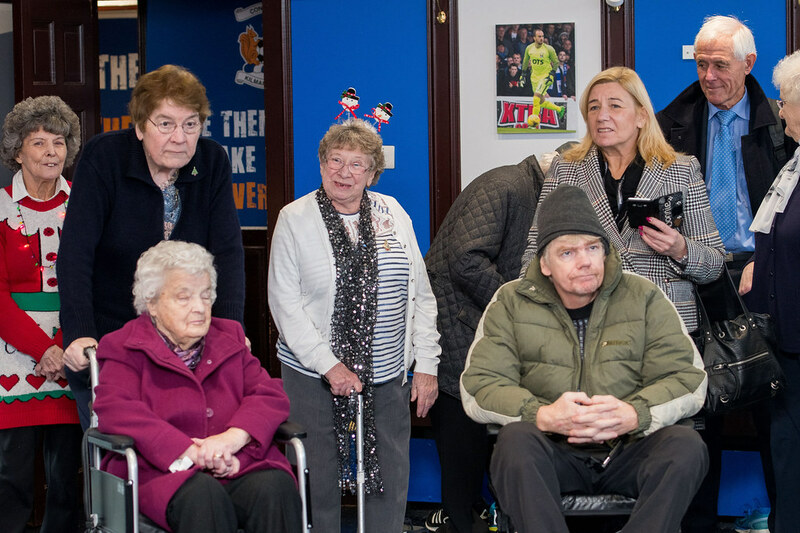 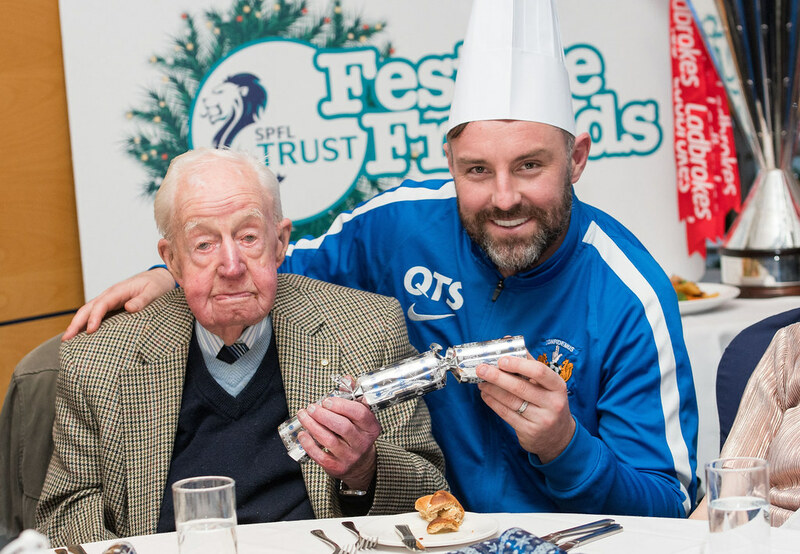 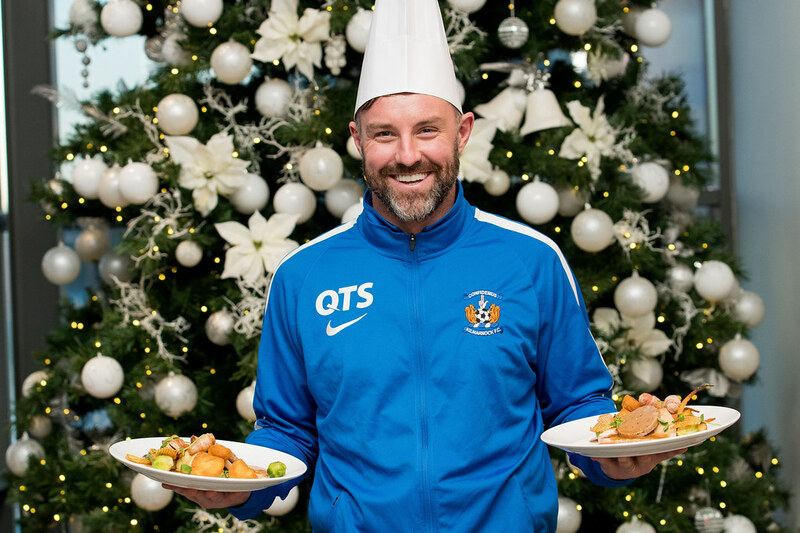 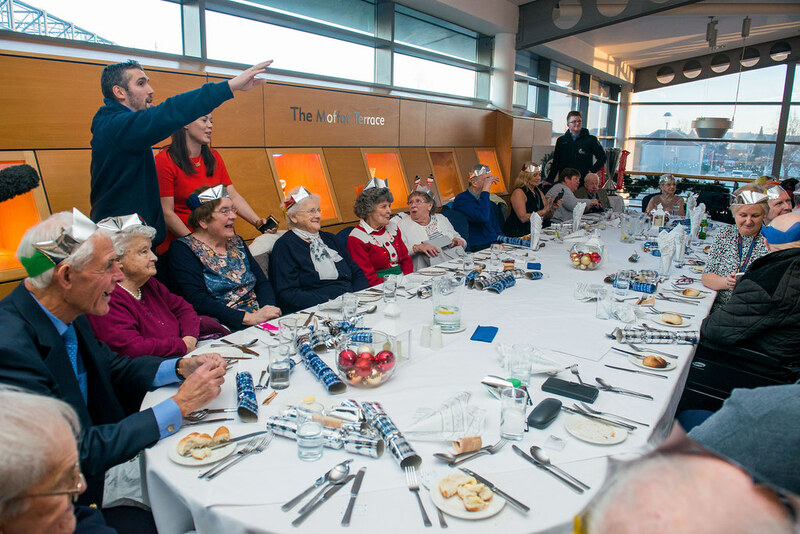 The SPFL Trust’s Festive Friends programme will see 32 clubs hold lunches and other engaging activities for those feeling lonely this Christmas. 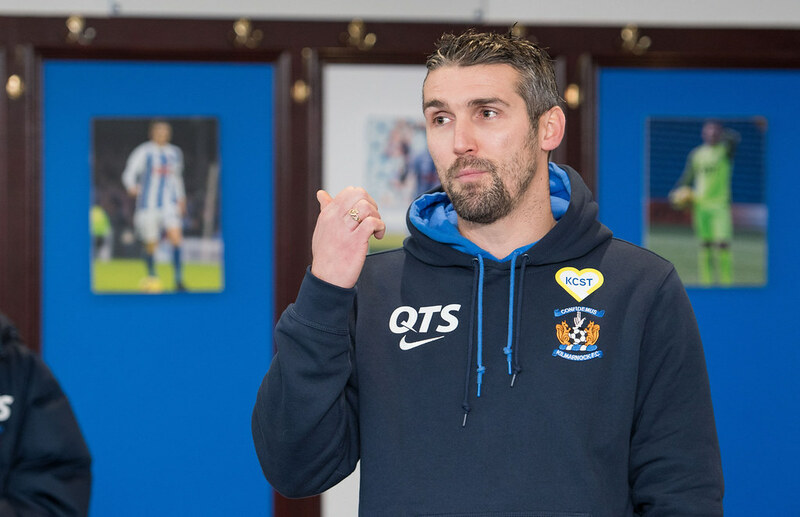 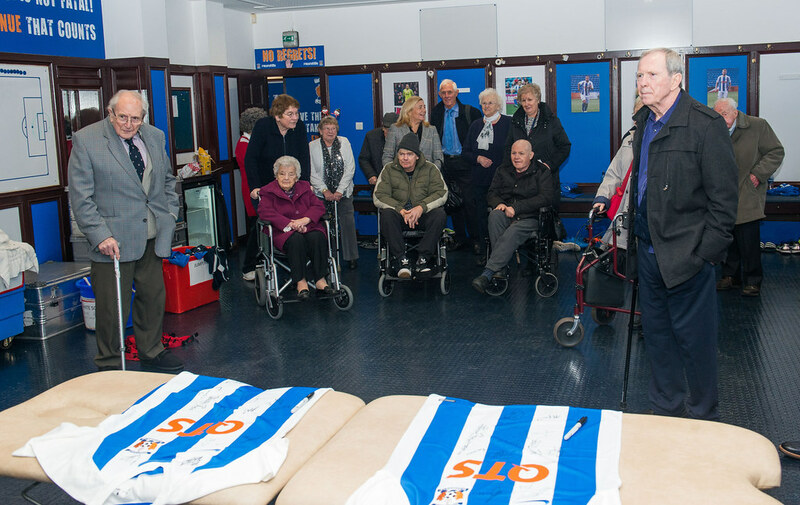 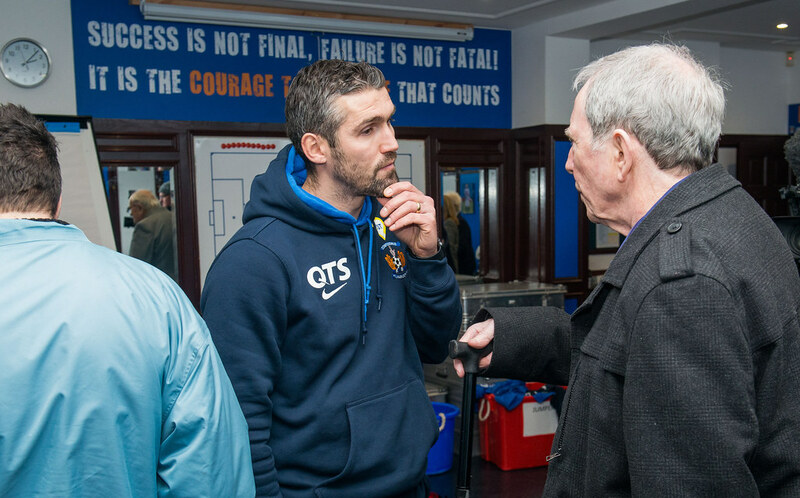 This year’s initiative was officially launched at Kilmarnock FC with the help of some VIP guests. 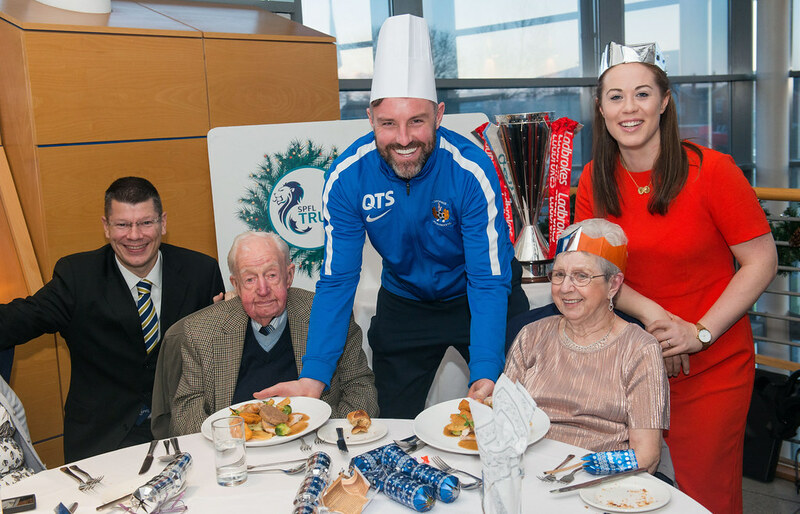 James Richmond was in attendance and is the club’s oldest fan at 100 years old. 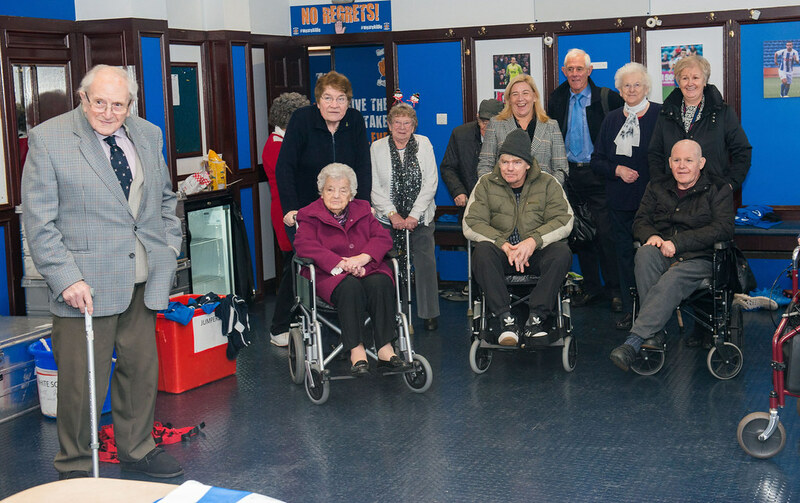 He was joined by two other die-hard supporters; Dr Richard Mills, 95 and Ian Pressley, 92. 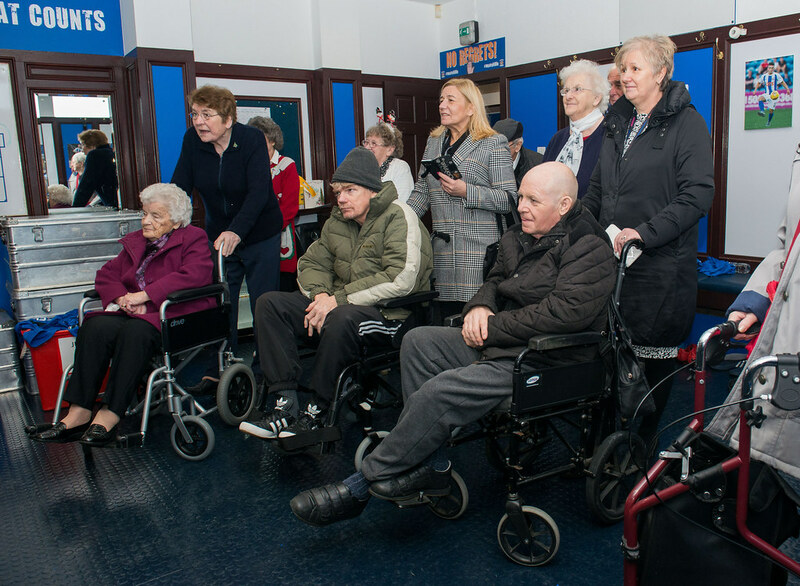 James, who lost his wife sixteen years ago, has severe difficulty socialising due to hearing problems, mobility issues and memory loss. 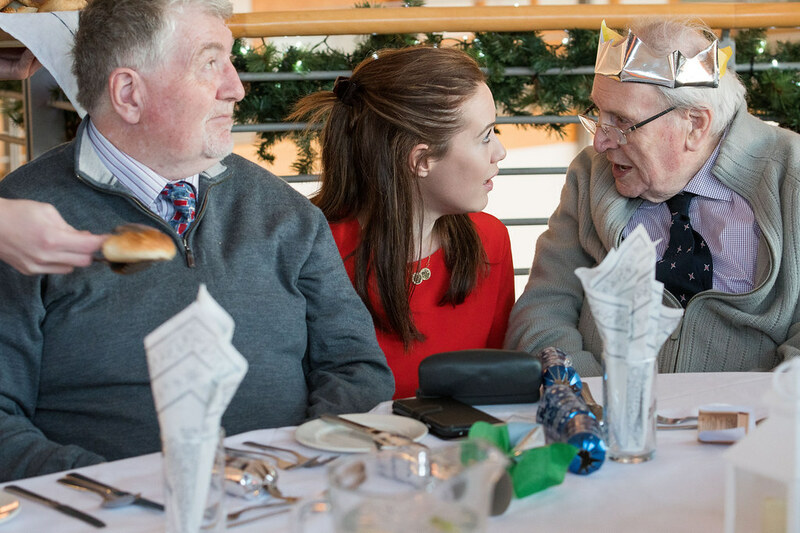 He said: “Nowadays, it’s harder for me as I’m getting a bit confused with my dates. 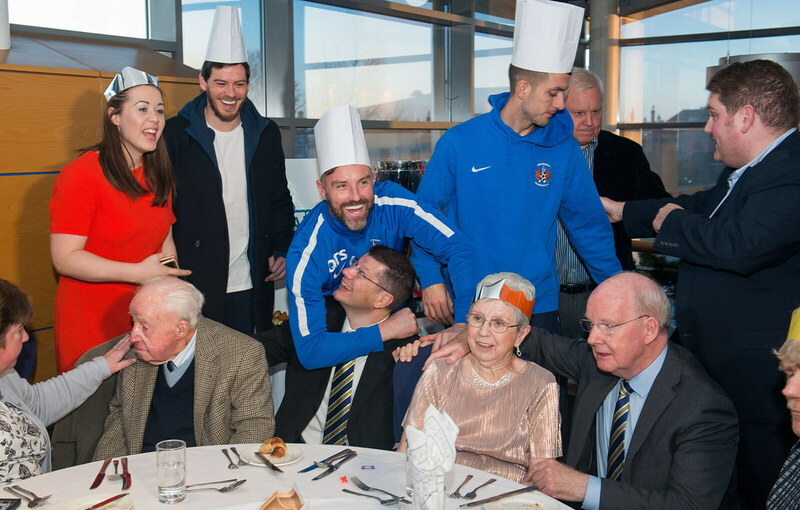 Ian is a still a season ticket holder at Rugby Park, but admits that he is unable to leave the house as much as he would like. 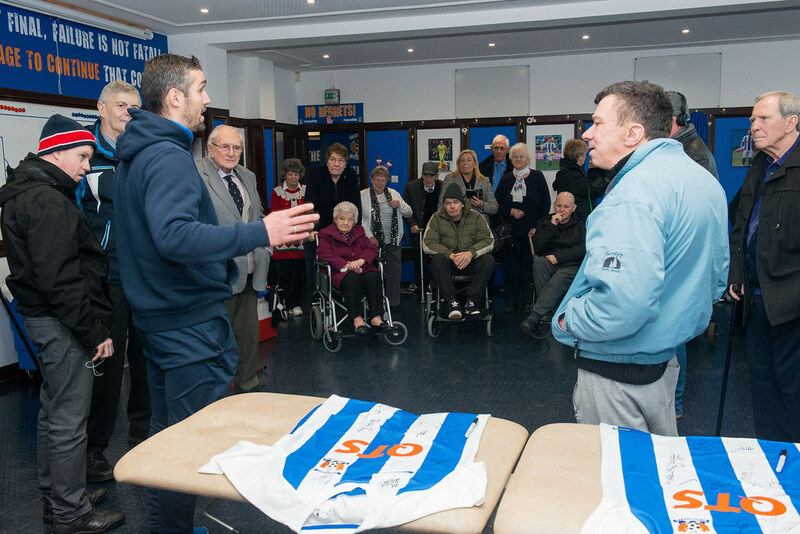 “I got a replacement left knee fifteen years ago and I have to use a stick all the time,” he explained. 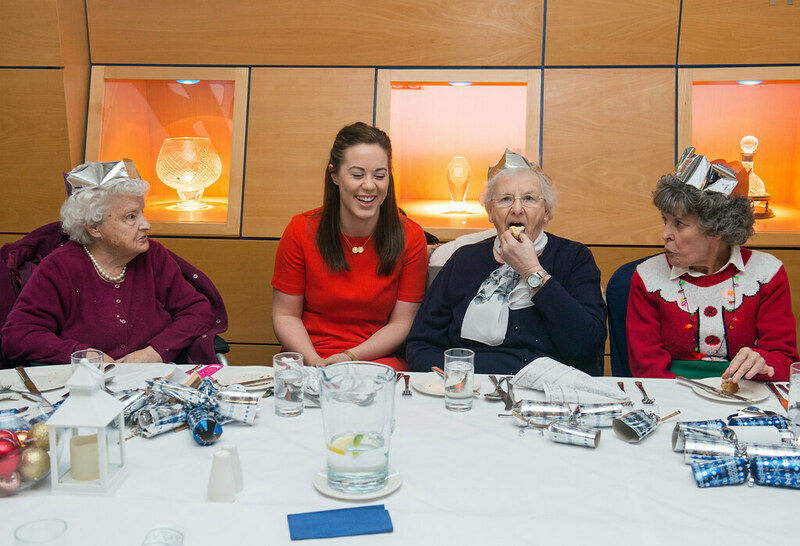 Due to their attentive needs, older generations normally depend on loved ones to look after them. 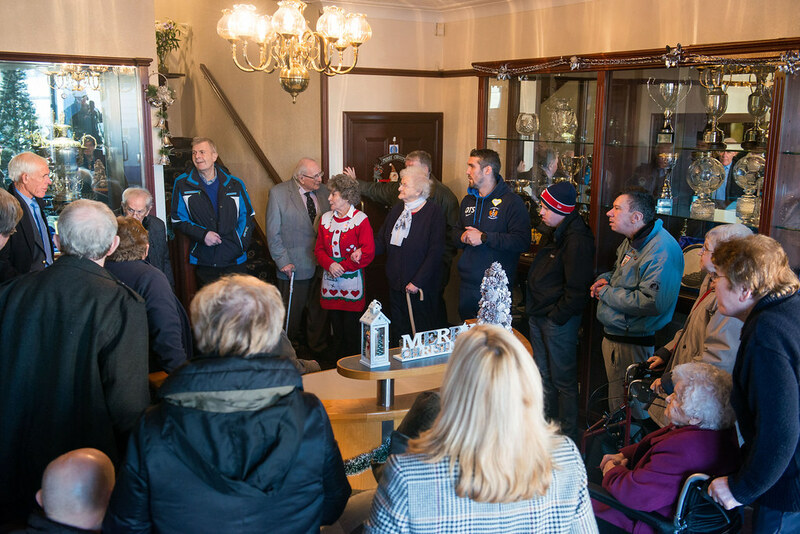 One in five people aged between 50-64 are carers with the majority looking after their parents. 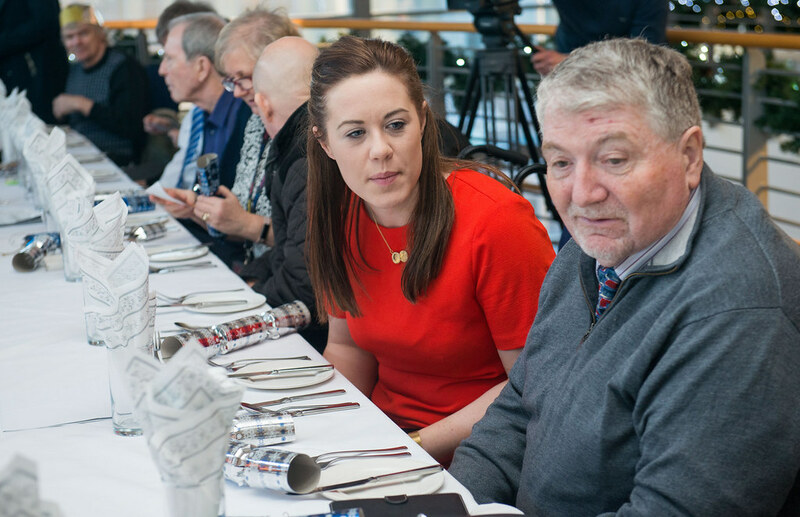 Ian is also a widower, and says he would be completely lost without the support of his daughter Karen. 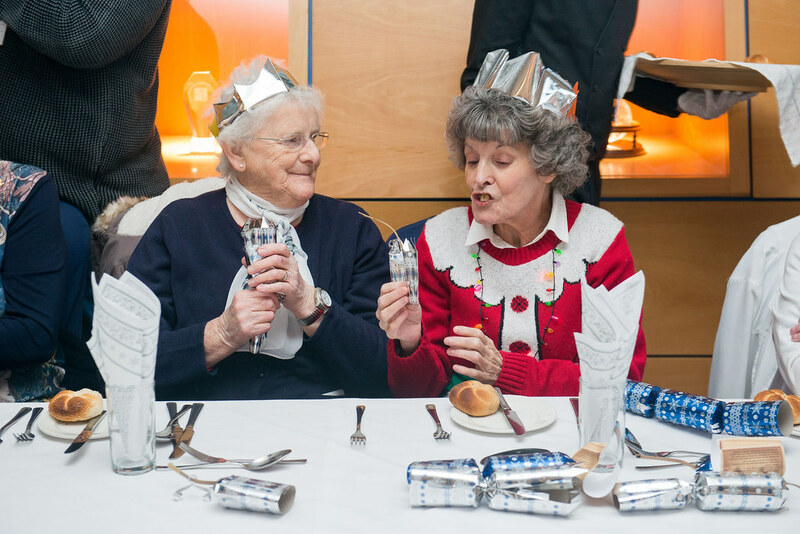 He said: “I wouldn’t last long without her, she keeps me alive and that’s not an exaggeration. 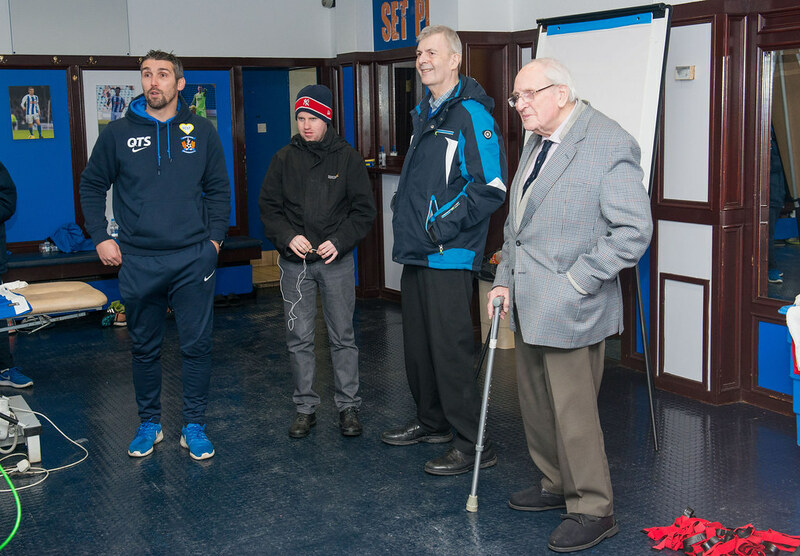 Courtesy of the club, they and 17 others were given a fun-filled day out, funded by the SPFL Trust’s programme. 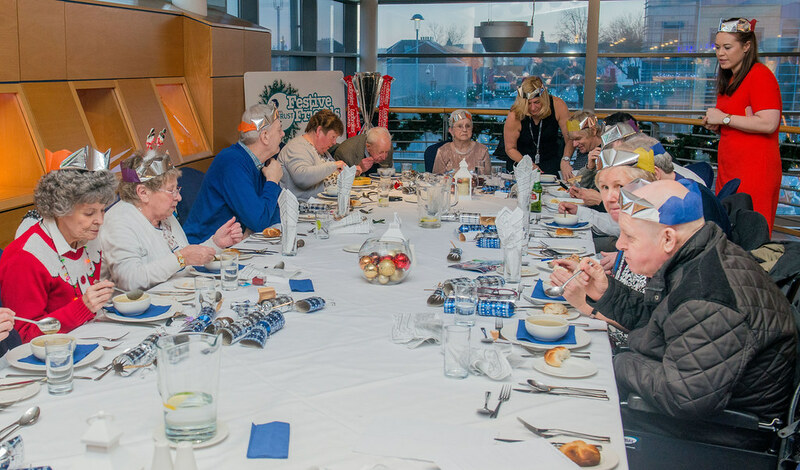 They were treated to a full tour of the ground, music quiz and then on towards The Park Hotel to enjoy a three course Christmas dinner. 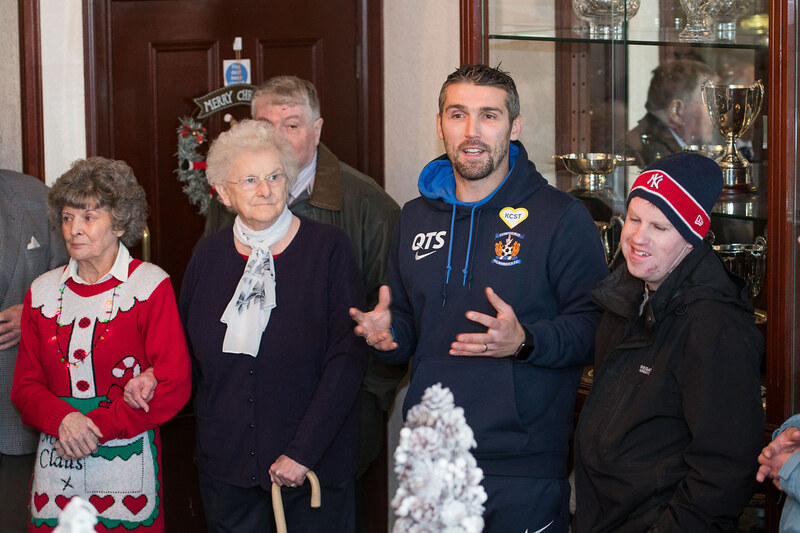 Richard says he also had a wonderful day out and paid tribute to all the staff who helped make it possible. 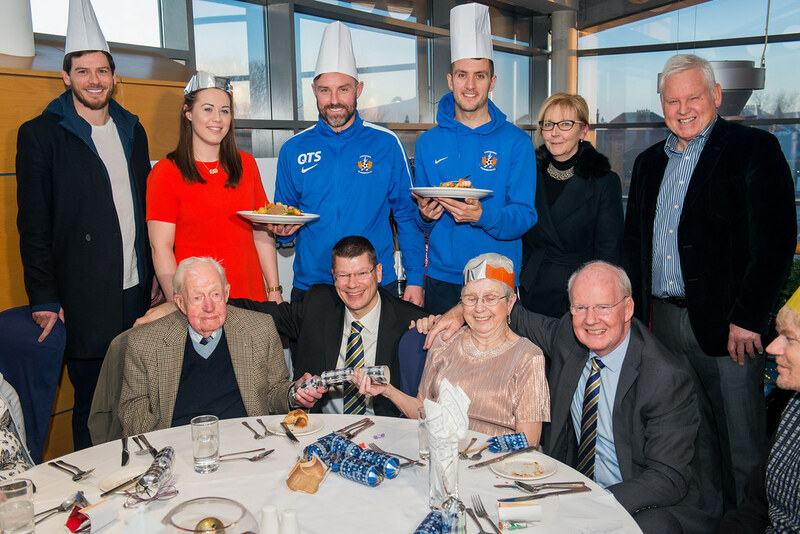 SPFL Trust chief executive Nicky Reid says it’s a project close to her heart and a ‘favourite’ of hers to be a part of. 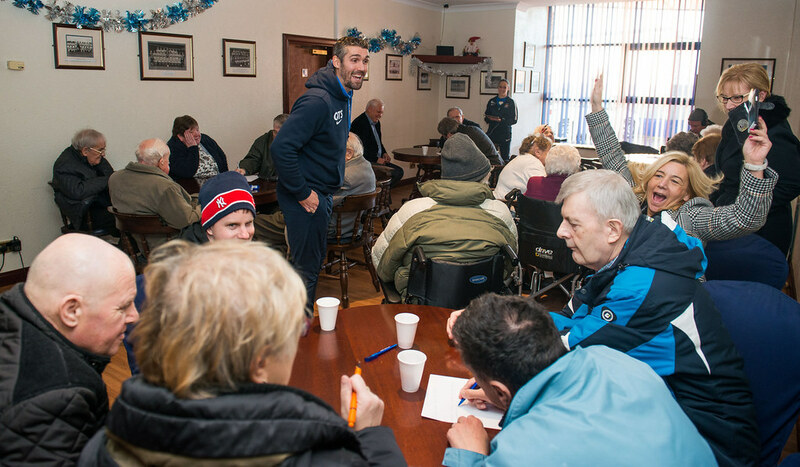 “Also, they’re not as often as likely to go and ask for help which we find across the age groups.